With so many different makeup brushes on the market, it can be a bit overwhelming to decide which ones you need. While most beauty junkies have their staple brushes (like foundation, powder, blush, etc. ), there are still so many different tools that you probably haven't heard of or know how to use. What can be really confusing are the brushes that look a little wacky and have crazy shapes to them, causing a really head-scratching beauty moment. However, though some of these brushes may seem a bit strange, they actually have amazing uses. To see some of our favorite (crazy-cool) brushes, keep scrolling! 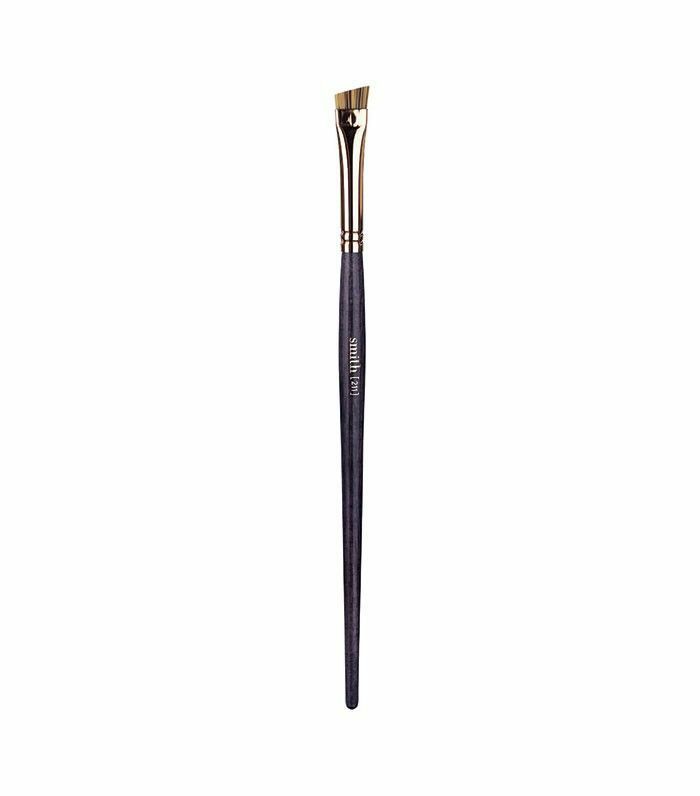 This perfectly angled brush deposits product to both the crease of the eye and the brow bone at the same time. It's also perfect for women with hooded eyelids since it helps give definition and distinguishes between the fleshy lid and the eye bone for a more contoured eye effect. 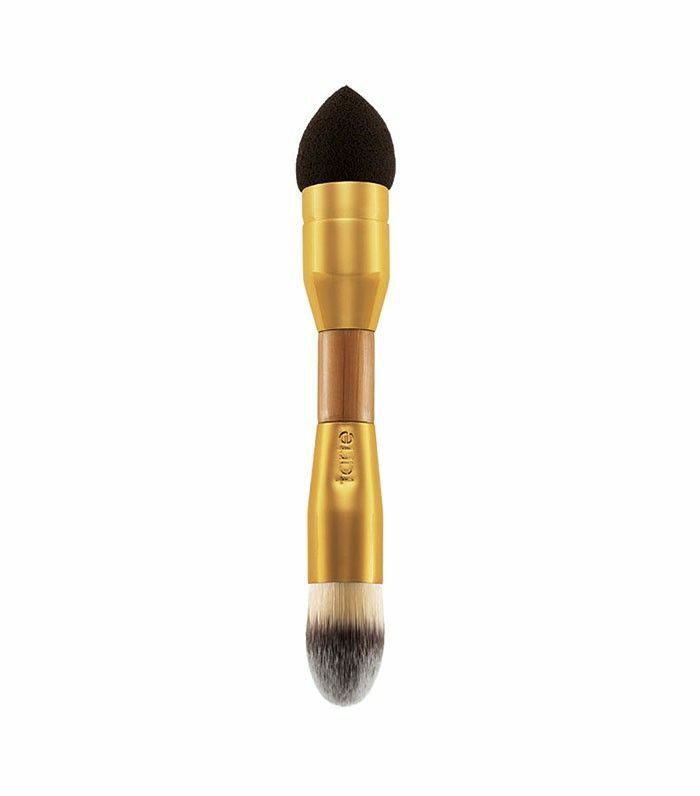 This three-in-one brush contours your eyes, cheeks, and jawline all with one simple tool. If ever you needed a do-it-all brush for that chiseled, glam effect, this is it! 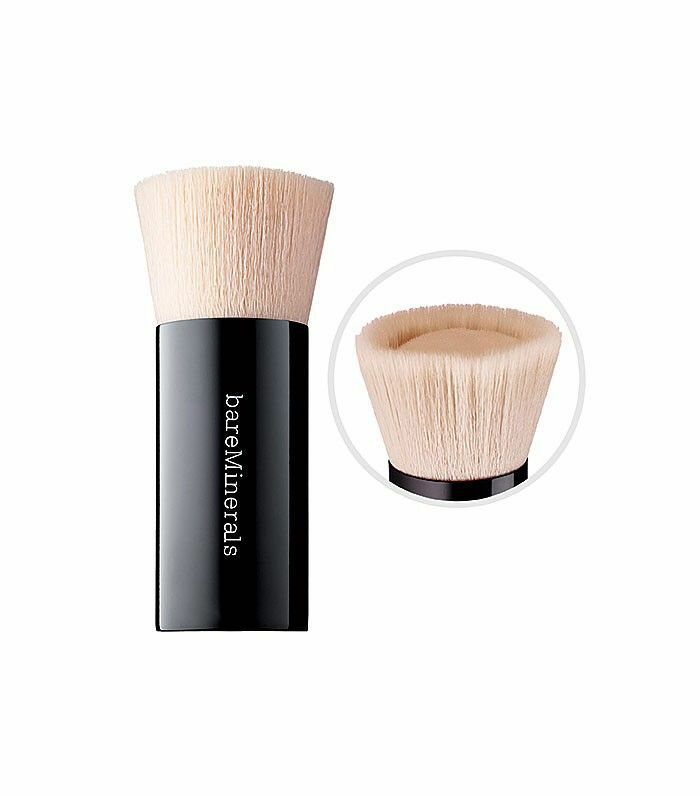 The genius behind this brush is that it has bristles of varying lengths to help distribute foundation more seamlessly into the skin, as opposed to a one-length brush. When you're in need of a brush and a sponge at the same time (a predicament we often find ourselves in), this tool is the perfect solution. 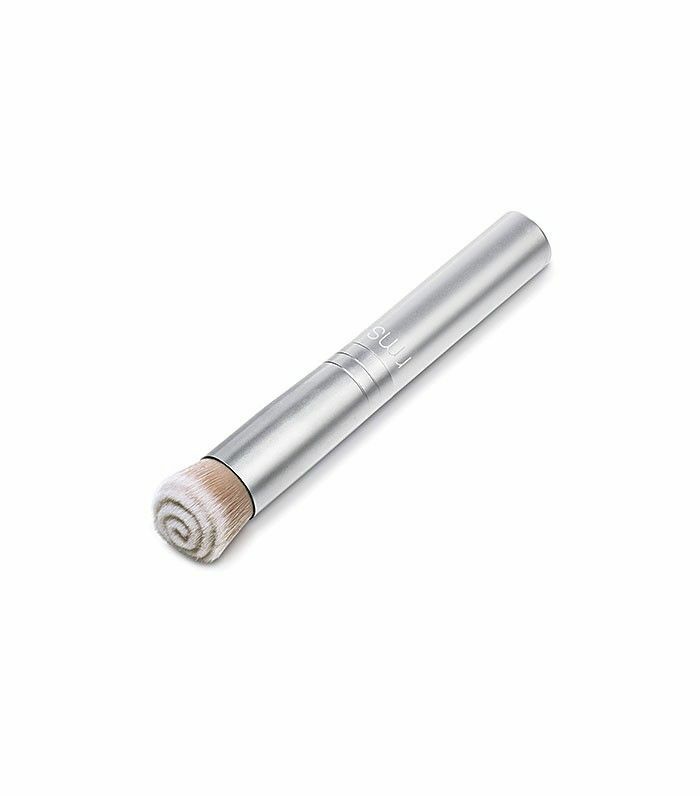 Formulated specifically for concealer, the brush end helps apply product to a blemish while the sponge seamlessly blends the concealer in. No one will be the wiser! 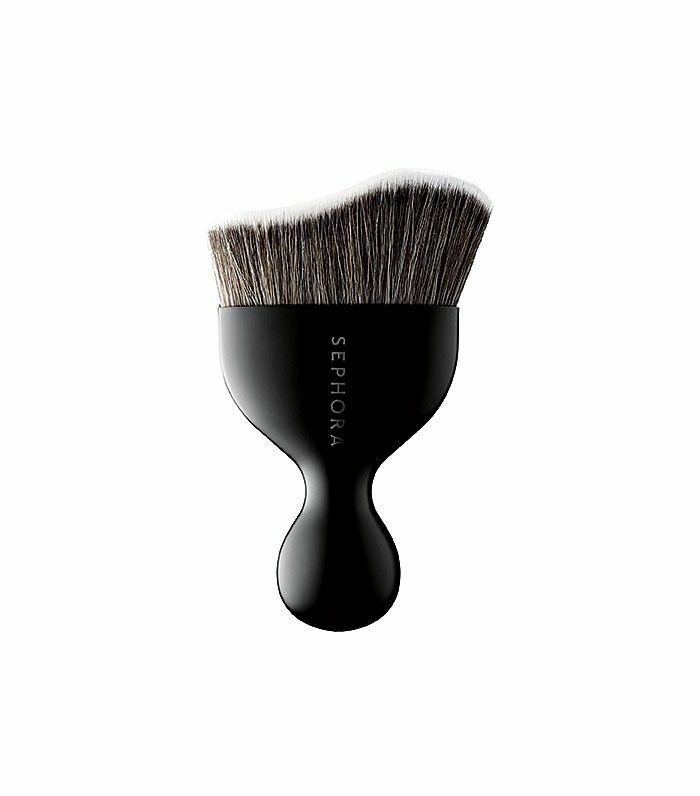 While this brush may seem a bit too large for makeup application, it's actually a top-rated product on Sephora's website. 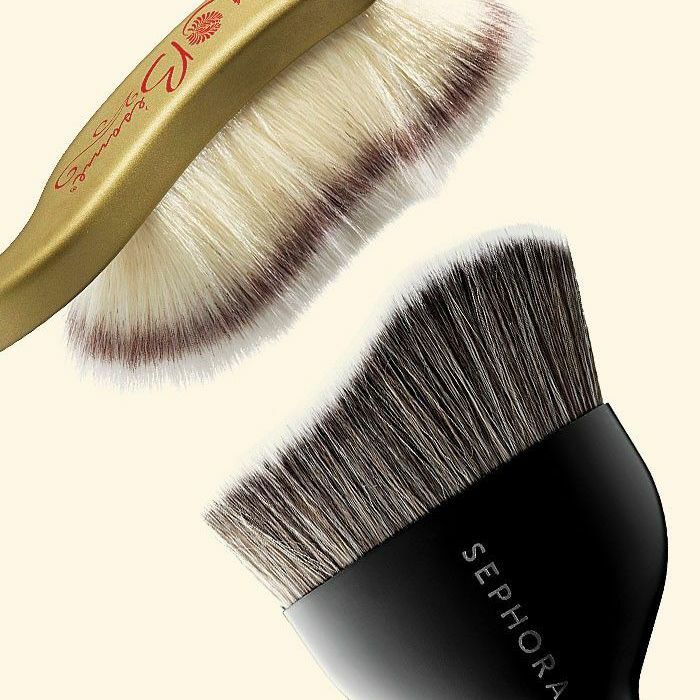 Its soft, long fiber bristles help blend powder seamlessly into the skin for a perfectly airbrushed finish. 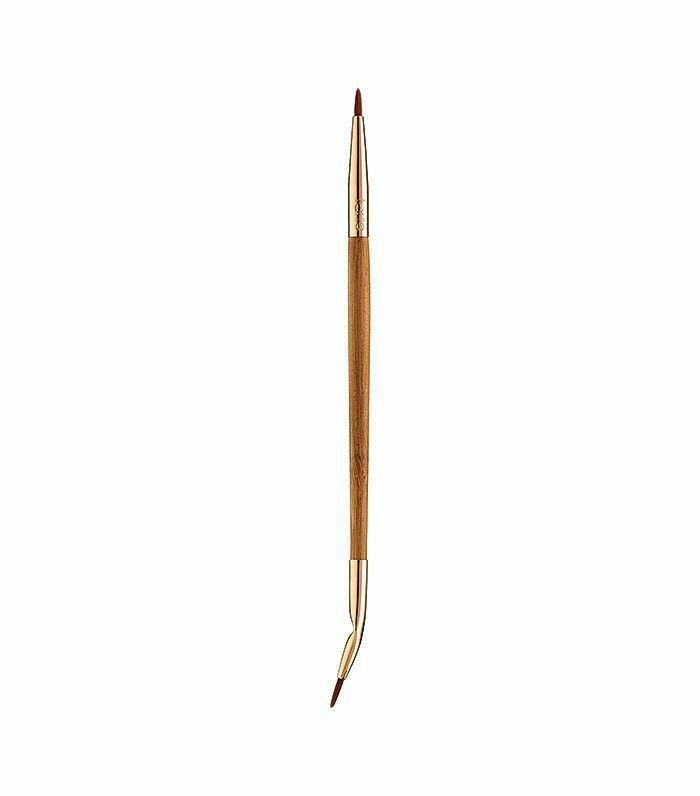 This double-edged brush uses its angled side to formfit to the lash line while the long-bristled opposite edge is perfect for "sketching" a mean cat eye. 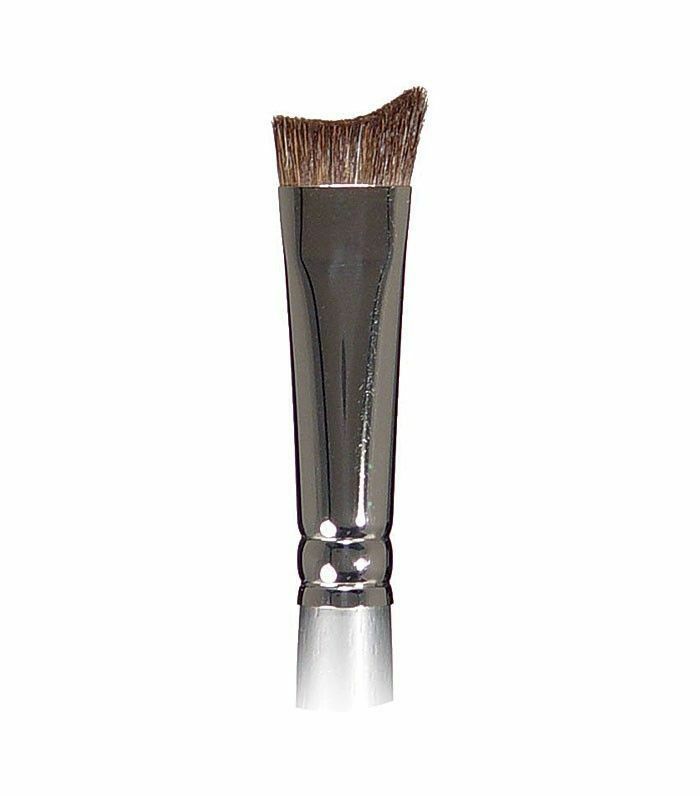 This brush is a thick, angled eyeliner brush and can be used with powders, gels, and pomades. It's a mix of stiff and soft bristles, perfect for adding definition and then softening the look. 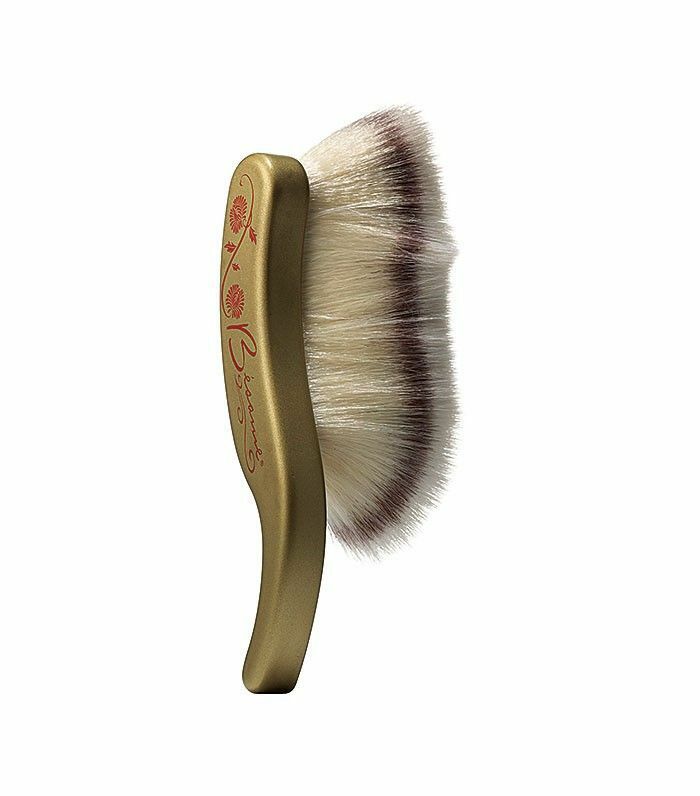 The concave surface of this brush is meant for just a small amount of your liquid foundation to be deposited while the surrounding wave fiber bristles blend the product perfectly into the skin. What's your all-time-favorite brush? Please let us know in the comments!